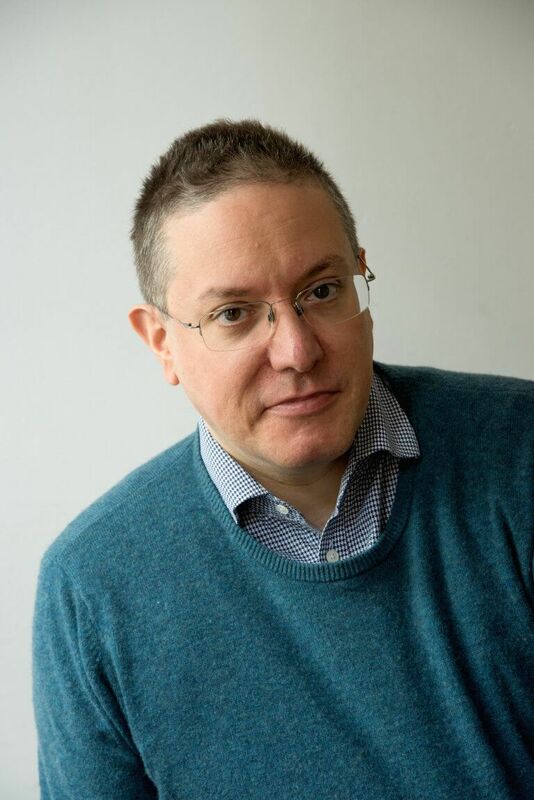 Julian Anderson is among the most esteemed and influential composers of his generation, with regular performances both internationally and at home in the UK. Anderson was born in London in 1967 and studied composition with John Lambert, Alexander Goehr and Tristan Murail. He was awarded a prestigious RPS Composition Prize in 1992 at the age of 25 for his two movement work Diptych (1990) for orchestra, launching his career. His success as a composer has also fed a prominent academic career, which has included Senior Composition Professorships at the Royal College of Music (1996-2004), where he was also Head of Composition for 5 years, Harvard University (2004-7), and Guildhall School of Music & Drama where he holds the specially created post of Professor of Composition and Composer in Residence. Anderson is also much in demand as concert programmer and public speaker. Between 2002 and 2011 he was Artistic Director of the Phiharmonia’s Music of Today concert series at the Royal Festival Hall in London, and from 2013 to 2016 he was Composer in Residence at Wigmore Hall. Anderson’s strong relationships with ensembles including BCMG, the Nash Ensemble, London Sinfonietta, and Asko-Schönberg Ensemble have resulted in many commissions. Book of Hours (2004) for ensemble and electronics was written for BCMG and Oliver Knussen. The work won the RPS Award for Large Scale Composition in 2006, and the following recording on NMC won the 2007 Gramophone Award. Commissioned by Wigmore Hall, the Koussevitzky Foundation and Casa da Música and premiered by the Nash Ensemble, Van Gogh Blue (2015) won both a BASCA Award and the RPS Award for Small Scale Composition. Sensation (2015-16) for solo piano, was commissioned by Aldeburgh Music and the Santa Fe Chamber Music Festival, and was premiered by Pierre-Laurent Aimard at the 2016 Aldeburgh Festival. Anderson’s String Quartet No.3 “Hana no hanataba” (2018), co-commissioned by Wigmore Hall and the Tanglewood Music Center, was premiered by the JACK Quartet in April 2018. Alongside his impressive catalogue of instrumental works, Anderson is particularly known for his choral music. Four American Choruses (2003) was premiered by the Groot Omroepkoor at the Concertgebouw in Amsterdam. His 2006 oratorio, Heaven is Shy of Earth (rev. 2009) was premiered at the BBC Proms by the BBC Symphony Orchestra and Chorus conducted by Sir Andrew Davis, and went on to win a 2007 BASCA award for Choral Composition. Alleluia (2007) for choir and orchestra opened the first season of the refurbished Southbank Centre in London, premiered by the London Philharmonic Orchestra and Chorus. Further choral works include a Magnificat (2016) for ORA and a Nunc Dimittis (2017) for the Choir of Gonville & Caius College, Cambridge.